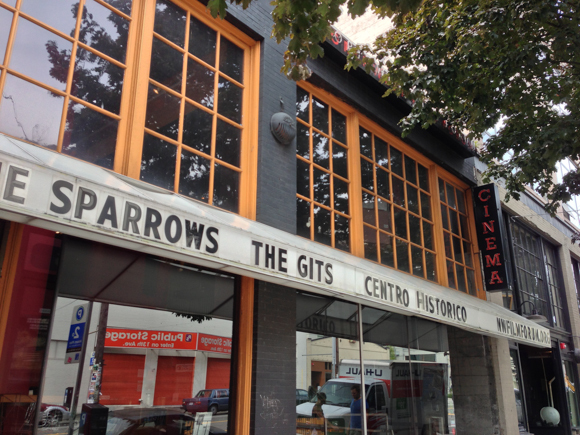 It was fairly recently that the Northwest Film Forum completed a successful effort to kickstart a move over to digital projection. 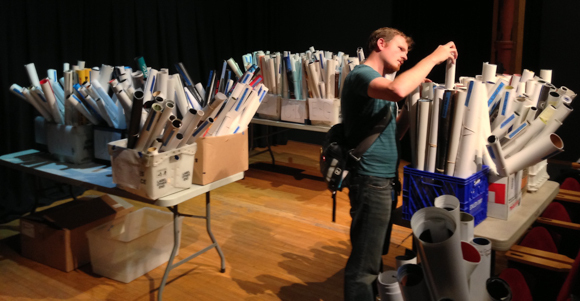 This past week was the opportunity to pick up one of the perks many backers were entitled to, namely a poster from the organization's archives. Which was why I found myself there this past Tuesday. 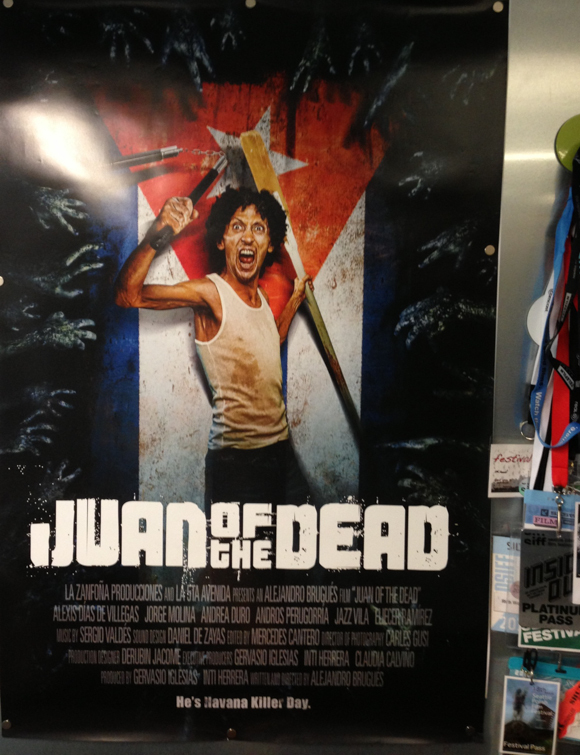 After a while rummaging through the selection I made a tough decision and brought home a Juan of the Dead poster. Runners up included a History of Future Folk one as well as a Step Up 3D poster (yes - I have diverse tastes). 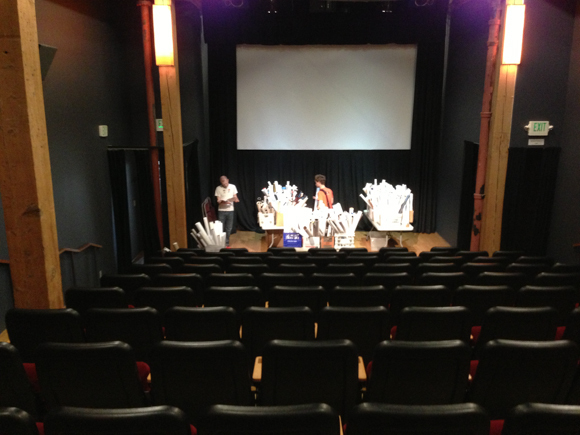 It was also a chance to checkout the new chairs including locating the one I sponsored in an earlier funds drive. 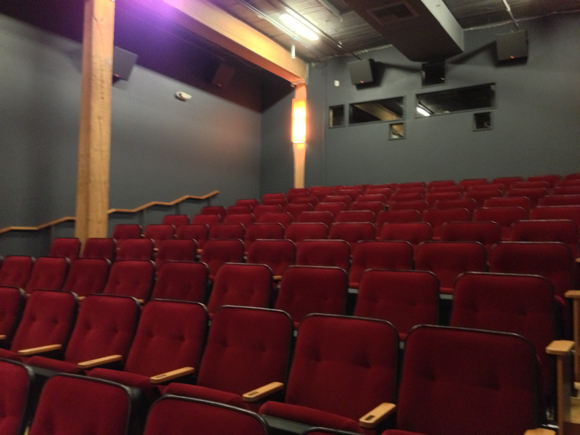 They look pretty plush - and folks will be happy to know that some additional carpeting has been added to the theater's aisles - greatly dampening that clumping sound of people moving about that used to grace the space.